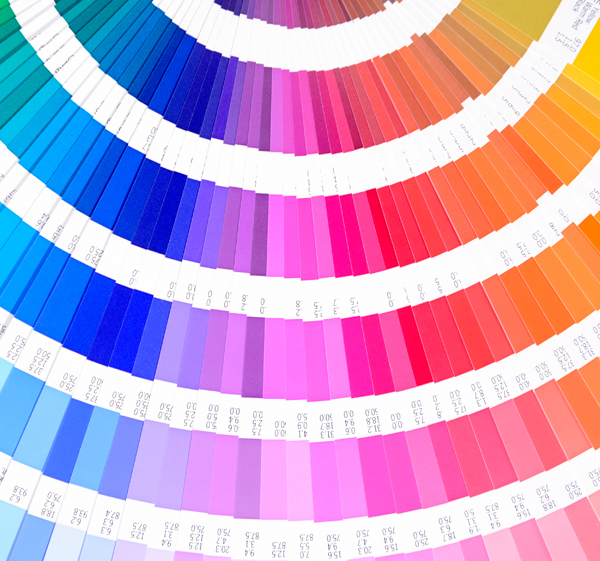 It’s no secret that color has an impact on everything. From the perfect shade of gray for your living room wall, to the iconic red on a Coke bottle, the wrong color can make or break a brand. Used to relay the purpose of an organization and evoke emotions in consumers, advertising agencies have long used color to persuade and inspire. When used properly, a color makes all the difference. Upon college graduation, I was given a book that changed the way I looked at color forever. It was called “Communicating with Color”, written by Leatrice Eiseman, the color guru behind Pantone. In Eiseman’s book, she divides color combinations into mood categories to evoke feeling. She abandons the technical aspects of color (sure, there’s a little bit of the technicalities of color conversion) but ultimately she bases her book on the way color relates to our lives. And how we, as designers, can help relay an intended feeling through our work to best represent our clients. She helps you realize first and foremost, that as designers we are storytellers. We don’t just slap a color on a random font or design and call it done. There’s a method to our madness, a thought process behind it that spans much further than “it looks good.” Via color, we communicate something deeper. As a designer, we tell a story through our design choices. Just a few examples… a recent project for popular newborn photographer, Dolci Momenti, features a soft muted palette to woo new mothers and create a feeling of sweet whimsy, while Marley’s Mission followed a dark blue theme, representative of dependability and stability. For chocolatier and gift basket boutique, Nibbles & Bits, bright and bold pops of fun colors to give off a playful vibe of celebration. And for architectural & engineering firm Borton-Lawson, a rich teal with highlights of gold promote innovation and energy. If you’d like to get your hands on your own guide, check it out here!